The move comes two years after it was put forward at a meeting of the university’s Academic Council (AC) and approved at a standing committee meeting. It had been put on hold to study its feasibility. “The entrance exams for 2018 will be conducted in December this year. 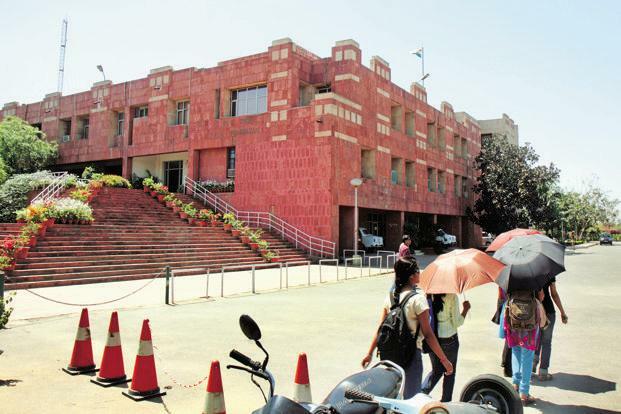 A committee has been formed to find modalities to conduct the exam,” JNU VC M Jagadesh Kumar told PTI. “We are implementing the proposal that received a nod long back,” he added. The VC said the university was trying to fill all vacancies available with faculties in MPhil and PhD courses in December. “We are also asking the centres to tell us about the vacancies available with each teacher. Once we receive the information, it will be put on the prospectus. It is the responsibility of the centres to inform us about the vacancies,” he said. The administration has already started writing to each centre, he added. The entrance exams for various programmes, including MPhil and PhD courses, for the year 2017 began on 16 May and continued till 19 May.